It matches the collar I got for one of our puppies! It's nice a sturdy and I love the print on it instead of etching. I love the clovers cause he's a lucky dog! 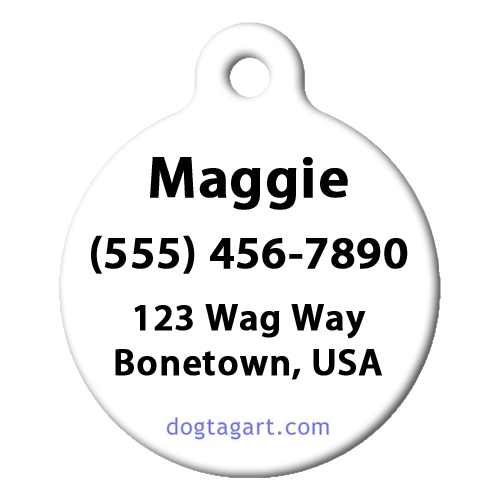 I am so excited to find a dog tag art that matches The Lupine dog collars I've been ordering. Great quality, and quick. What a great addition to have a matching tag with the color. I just love it! I would highly recommend this product and workmanship to everyone.